Network requirements for the healthcare industry have changed a lot of the past few years. Healthcare organizations now require a wireless network infrastructure that supports vital clinical applications and provides secure access for tablets, smart phones, and other mobile devices. 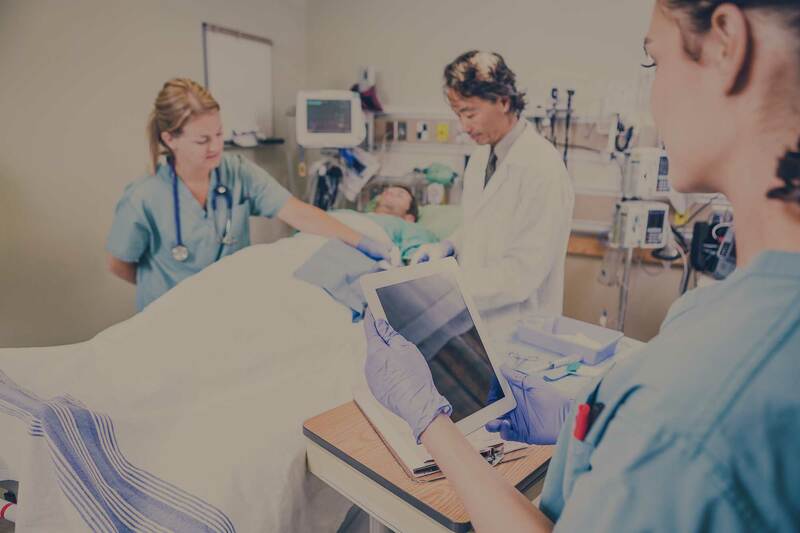 In addition to strong security and reliability, healthcare professionals are beginning to rely on mobile devices to wirelessly access essential network resources while on the go. That’s why careful planning is crucial for a successful and secure wireless network solution. Whether upgrading from existing equipment or starting from scratch, here are 7 basic tips that should help anyone planning on hospital wireless network implementation. As fast a technology is growing it is crazy not to plan extra bandwidth for the inevitable, evolving mobile devices and technologies that will continue to pop up in many hospital wireless networks over the next few years . Even if things like more wireless patient monitoring devices and RFID tags are not a part of your present plan it, it would be wise to anticipate them now to prevent a potential, costly hospital wireless network rebuild in a few years. Hospitals are loaded with important data that must be kept secure and confidential; therefor you must have a plan for monitoring and shutting down rogue access points. A very important question you should address with vendors is, does the system have the ability to identify and shut down rogue access points quickly? Not every instance is a hacker trying to steal patient information. In some cases a rogue access point may end up just being nurses bringing in an extra router for better signal in the break room. Thus, creating a detailed policy about this and informing all your employees is a good idea. Hospitals in particular can create quite the tough wireless conundrums sometimes. Bathrooms, elevators, large metal structures and machines, lead-walled radiology rooms, and any other possible physical structures that could cause dead spots, all need to be considered for the correct solution to overcome these obstacles. Infection control in hospitals is crucial. You may have to plan for protective eye wear or special suiting to be worn in certain areas of the hospital or healthcare facility, or specific access point placement to follow certain operational regulations. nt devices comply with security policies, automatically detaining threats to network security. You need to consider how you will limit their use of the network and secure patient files. It’s also important to automatically prioritize traffic to optimize network performance otherwise you will have guests Netflix that interferes with the performance of your EMR system operation. When contemplating multiple vendors, give some of their equipment a trial run in your hospital environment. See if it performs as well in your healthcare facility as it does on paper. You may even want to try calling support to see how fast they respond and how knowledgeable they are. Don’t be afraid to ask questions this is an important project. This is an important project and if done incorrectly the repercussions could be detrimental and very costly particularly in a healthcare setting. A wireless systems expert to help conduct an accurate site survey, design, and deploy the project can save a lot of stress, time, and money. With expert advice and a detailed solution your wireless network design specialist can cover all bases and negotiate the best prices with vendors. Many future trends for hospital wireless networks lean towards providing a better patient-centric focus. At SecurEdge, we’ve developed an entire practice around helping you plan, deploy, and support hospital wireless networks. We provide the best quality of fast, reliable, and secure wireless networks; and we always plan for the future. We have worked with many hospitals throughout the United States to give them the ability to support todays increasing demand for wireless devices. Our goal is to be a resource for you. You may contact us here with any questions or download our free hospital wireless design guide for more great information.